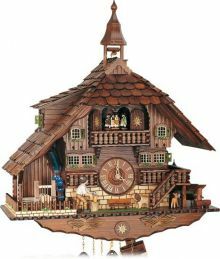 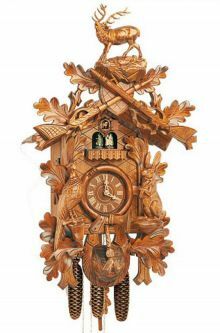 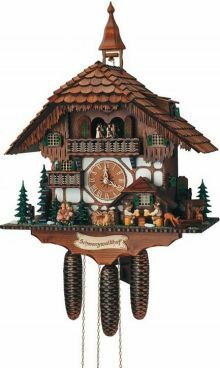 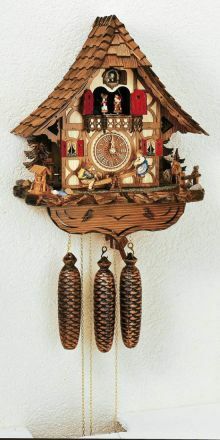 Eight Day Cuckoo Clock with moving woodcutters, wood chopper and melody. 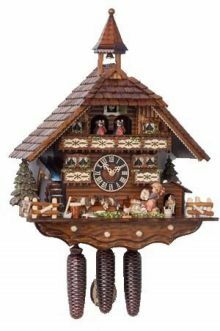 Auto night silent and window lights as the music plays. 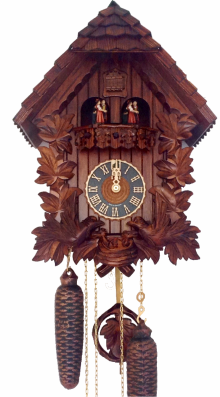 Eight Day Cuckoo Clock. 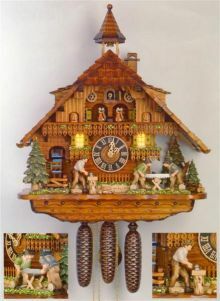 "Fighting goats and a girl cleaning her puppies"